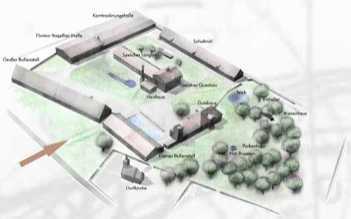 This international conference aimed at exploring current research and trends in wood firing will be held at Bröllin from 2nd to 5th September 2010. Bröllin Wood Fire will run over more than three days, and is expected to attract around two hundred delegates from Europe as well as overseas. Well known keynote speakers will address a series of questions, follow-up forums will give an international overview and discuss technical and aesthetical issues. Exhibitions will be held to coincide with the conference – aimed at presenting a wide survey of wood fire practice. Forums will be held each day, as well as demonstrations, exhibition openings, kiln firings and social events. There will also be Pre-Conference Workshops in the week leading up to the Conference. After the conference we offer excursions to places of interest for woodfirers, for example to La Borne, where a part of the pre-conference of the AIC general assembly will be held some days later. We are very glad that we found Bröllin Castle as the ideal place for the conference: a huge manorial ensemble in the east of east-Germany and for that reason easy to reach, not yet fully restored and for that reason full of possibilities. To benefit from these possibilities we will need many helpers, indeed an event made by potters, but not only for potters! Conference languages will be English and German with simultaneous translations. Conference organised by kalkspatz e.V. Conference languages will be English, French and German with translations. Conference organised by kalkspatz e.V.